After the second time Emma Fisher was made redundant, she decided it was time to change her life so two years ago she retrained as a personal fitness instructor and launched her own business Diva Fitness. Having noticed that there wasn’t much on offer for the over 50s, Emma took it upon herself to set something up to serve this neglected sector of the community. 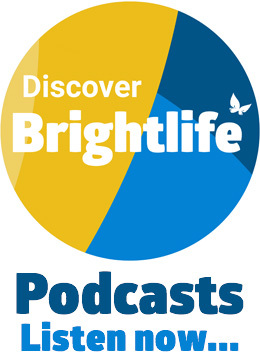 Finding funds to start her project was proving difficult until Brightlife came along. Chatter Chairs was launched in 2018 – a pioneering form of chair-based exercises using free weights and resistance bands to boost muscle strength and balance. Emma opened two centres – one in Vicars Cross and the other in Hoole – with the focus on health and making new friendships. Since starting, Emma has helped over 85 older people regain their strength and flexibility by adapting the class to suit individual needs – reaching out to those with Parkinson’s disease, Spina Bifida and even dementia. “It’s a fantastic way to bring older people in the community together while improving their health and wellbeing,” she says. The social benefits are a huge draw and 70-year-old Celia Powell, whose knee has improved significantly since she’s been going, describes the classes as “a lovely social get together”. “It’s everything I needed and more!,” she says. Over £75,000 additional funding has been awarded to 9 Bright Ideas projects to improve the lives of older people in Cheshire West and Chester. Following on from their successful Bright Ideas project targeting Vicars Cross and Hoole, Diva Fitness are expanding their chair-based exercise and strengthening project. Currently running successfully in Hoole and Vicars Cross, their plan is to expand this provision into Handbridge. Cre8tive aims to offer a half day per week workshop to offer metal craft and other arts activities which will spark imagination and creativity. Participants will have opportunities to make and sell their work which will contribute to the sustainability of the project. Lonely in a Crowd – a regular weekly social club for people with learning disabilities and/or autism as well as people with dementia and their carers. Their plan is to train staff and volunteers in the use of Makaton and to provide an opportunity for them to practice their skills with service users. Brighter Lives with 1:1 Shared Reading aims to support those who suffer mental or physical barriers that prevent them from leaving their homes. They will to do this by offering a shared reading experience on a 1:1 basis. Promote for Nature plan to expand their current provision to offer another day of delivery. In order to do this they need to pro-actively market the goods they are making. This in turn will enable them to grow the capacity of the group. Unusually for a Brightlife project the focus of this application will be on the professional promotion of the “Create for Nature” brand through photography/design/social media/video/banners which will enable them to compete in a very competitive market. Reel Connections is drawing on the experience of the “Read and Connect” project which has just finished. It will provide performance-based activities, primarily films, to a target group of socially isolated over 50s. Participants will have long-term disabling conditions or have a caring role. Sessions will involve visits to the cinema/theatre with additional social opportunities. Volunteering activity sessions specifically targeting older men e.g. allotments, maintenance, IT, mobility equipment work shop. Working in partnership with Chester Sexual Abuse Support Service (CSASS). Based on the assumption that men tend to like to help rather be helped, participants will support DIAL House with the running of the centre as well as have horticultural opportunities at their allotment. A series of outreach mindful crafts sessions in Blacon and Lache. Research has shown that there is a demand for mindful crafts in these areas. Craft workshops will be used to offer support through “sharing circle” time and other therapies to improve mental health and overall well-being. A weekly woodworking activities club for over 50s. Participants will have opportunities to develop their skills using hand and power tools including using a lathe. They will make items such as garden planters and pens.